Installing winter tires on all wheel positions is important to ensure the most grip in snow, ice and slush. 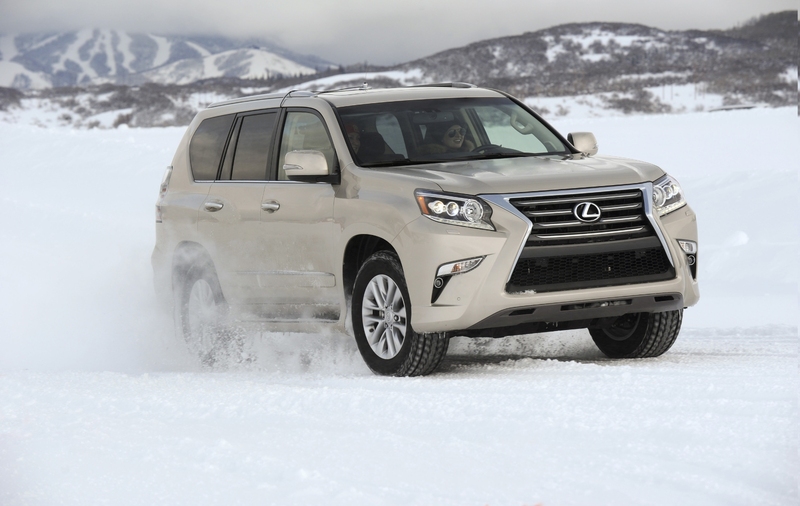 A common misconception is that four-wheel drive and all-wheel drive are all-powerful in winter driving conditions. Four-wheel drive makes the most of traction to get a vehicle moving, but it doesn’t improve stopping or cornering. Those attributes depend on tire grip. For information about Bridgestone Blizzak winter tires or to find a Bridgestone retailer, visit www.BridgestoneTire.com. *Calculation based on U.S. Census Bureau’s 2010 Census, which estimates there are 234.6 million adults ages 18+ residing in the United States: 234.6M x .65 drive to different family members HH during the holiday season; of these 241 average miles driven = 36,750,090,000 miles in 2016. 234.6M x .73 drive to different family member’s HH during the holiday season; of these 147 average miles driven = 25,174,926,000 miles in 2015. **Calculation based on U.S. Census Bureau’s 2010 Census, which estimates there are 234.6 million adults ages 18+ residing in the United States: 234.6M x .61 travel for holidays; of these $342 average spend on holiday travels = $48,942,252,000 in 2016. 234.6M x .65 travel for holidays; of these $343 average spend on holiday travels = $52,304,070,000 in 2015. ***Snowbelt states include: Maine, New Hampshire, Vermont, New York, Pennsylvania, Ohio, Michigan, Wisconsin, Minnesota, North Dakota, South Dakota, Montana and Wyoming. ****Based on stopping distance in ice rink testing of Bridgestone Blizzak WS80 tires (235/55R17) versus Firestone FR710 tires (235/55R17). Actual results may vary based on proper tire maintenance, vehicle, driving style and road conditions. These surveys were conducted online within the United States by Harris Poll on behalf of Bridgestone from October 14-16, 2015, among 2,072 U.S. adults ages 18 and older and November 1-3, 2016, among 2,064 U.S. adults ages 18 and older. These online surveys are not based on a probability sample and therefore no estimate of theoretical sampling error can be calculated. Snowbelt states include: Maine, New Hampshire, Vermont, New York, Pennsylvania, Ohio, Michigan, Wisconsin, Minnesota, North Dakota, South Dakota, Montana and Wyoming. For complete survey methodology, including weighting variables, please contact withersrachel@bfusa.com. Nashville, Tennessee-based Bridgestone Americas, Inc. (BSAM) is the U.S. subsidiary of Bridgestone Corporation, the world’s largest tire and rubber company. BSAM and its subsidiaries develop, manufacture and market a wide range of Bridgestone, Firestone and associate brand tires to address the needs of a broad range of customers, including consumers, automotive and commercial vehicle original equipment manufacturers, and those in the agricultural, forestry and mining industries. The companies are also engaged in retreading operations throughout the Western Hemisphere and produce air springs, roofing materials and industrial fibers and textiles. The BSAM family of companies also operates the world’s largest chain of automotive tire and service centers. Guided by its One Team, One Planet message, the company is dedicated to achieving a positive environmental impact in all of the communities it calls home.